This class is also well-positioned if you are travelling from the surrounding areas of Kingstanding, Holford, Witton, Birmingham City Cente, Old Oscott, New Oscott, Perry Common, Perry Barr, Nechells, Stechford, Tyburn, Walmley Ash, Castle Vale, Alum Rock, Hockley, Handsworth, Handsworth Wood, Balsall Heath and Aston. Tai Chi is characterised by its continuous graceful movement, with one flowing into the next, and is gentle on the body. There are different styles of Tai Chi, as well as abbreviated (Short) Forms, and we teach Yang Style Tai Chi (the most popular style in the West) and Yang Cheng Fu’s Long Form. It doesn’t matter if you don’t know what this means as we take you through it all step by step in class. Our Erdington class is a friendly bunch with a good mix of abilities, and plenty of beginners, so if you are starting from scratch you won’t be alone. We would love to see you there so please just turn up – or contact us beforehand for a chat if you would prefer. 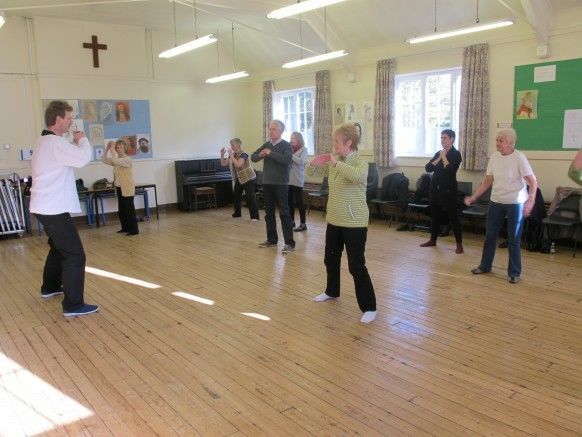 Come along and enjoy the fun and health benefits of our Erdington Tai Chi lessons.